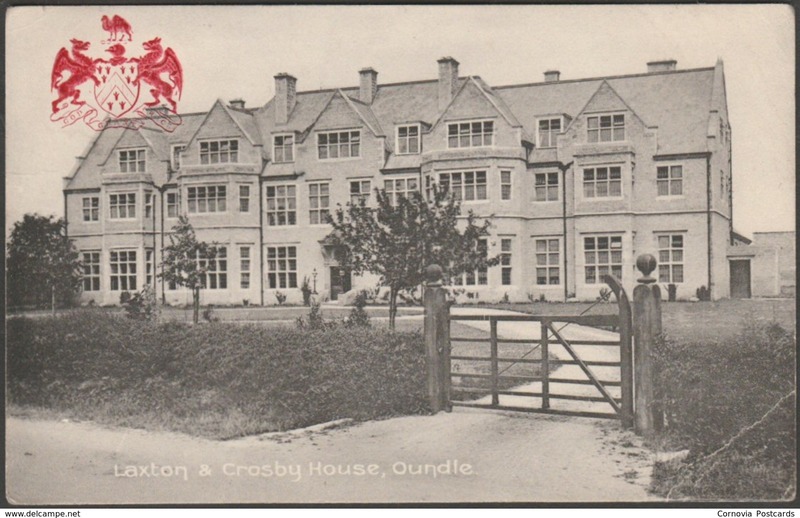 Printed monochrome postcard showing a view of Laxton and Crosby House, part of Oundle School at Oundle in Northamptonshire and with the school arms embossed in red to the top left. Published by Alfred King & Son, Oundle & Thrapston, not numbered. 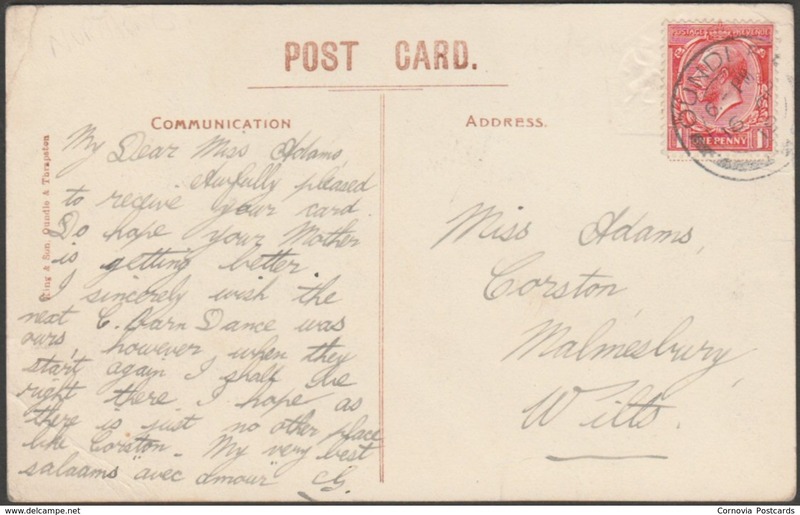 Postally used on 16 April 1919 with double circle Oundle cancellation on red one penny stamp and sent to Miss Adams, Corston, Malmesbury, Wiltshire. Fairly good condition, with slight corner bumps, but crease to bottom right corner and small light crease to top right corner.